Best known for playing Neil in the Inbetweeners, we have the return of Blake Harrison, now playing ‘Ben’ in the new Comedy Central series called Big Bad World. I haven’t read any reviews of it, but in my opinions it’s pretty damn funny! It also has comedian Sean Walsh in it who plays ‘Eggman’ and another good character ‘Oakley’ who is played by David Fynn who you may recognise from the Inbetweeners. He played ‘Wolfie’ who Will had to work with during Work Experience. Big Bad World basically follows a recent university graduate who is back in his home town and hanging out with his old pals again. His lame pursuits of Lucy (played by the always tasty Scarlett Alice Johnson) are especially funny! It is on Comedy Central and is currently in it’s first series. Well worth a watch. Here are is a trailer uploaded to YouTube. Hit the play button dude. If you haven’t watched it yet get your fingers clicking on the buzzer and have a watch. If you have Sky+ the best thing to do is search for it in the planner and then stick it on series link. That way you can watch it when you want! And if you don’t like it the delete button is only a second away. 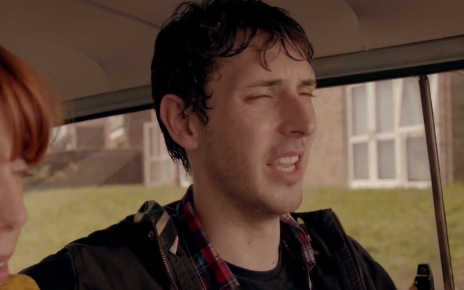 But if you are a fan of Blake Harrison Im pretty sure you will like this style of humour!